Instead of using a flat iron to straighten your hair with extreme heat, give it a break and opt for some natural alternatives to straighten it without weakening it. There are many ways to keep your hair smooth, silky, and healthy without subjecting it to high temperatures. Since we all want your hair to look amazing and stay healthy, we’re going to share some tips to straighten your hair naturally without a hair iron in this article. Since the late 19th century, hair irons have become a cornerstone in the lives of many women when it comes to straightening their hair. However, we now know that using irons constantly can really damage your hair. Many stylists have explained that exposing your hair to heat constantly causes irreversible damage. Plus, it makes your hair look dry, dull, and weak. 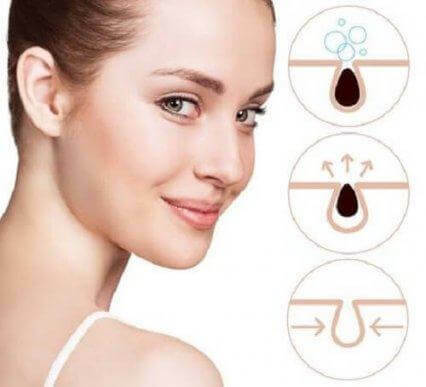 Therefore, if you’re looking for a more natural way to style your hair, here are four ways to straighten your hair without an iron. First of all, oatmeal is an excellent ally to nourish, strengthen, and moisturize hair. It has many proteins, minerals, trace elements, and vitamins that are exactly what your hair needs. Meanwhile, aloe vera contains over 75 nutrients that stimulate hair growth and also make it an excellent conditioner. First, remove the pulp of the aloe vera leaf and add two tablespoons of oatmeal to make a paste. Then, work it through your hair and massage your scalp with it. Leave on for 20 minutes. Then, wash your hair with cold water. Olive oil is a great ingredient to use on your hair. After all, this remedy moisturizes and makes your hair shiny. It also helps prevent hair loss and revitalizes split ends. 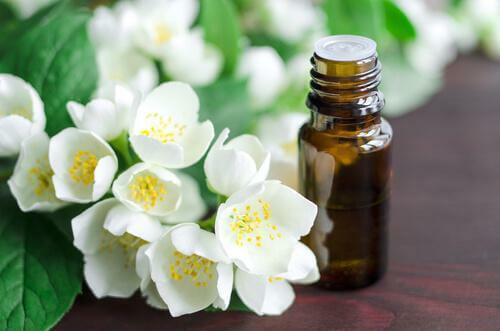 Meanwhile, jasmine oil is also a great hair ally due to its straightening properties. 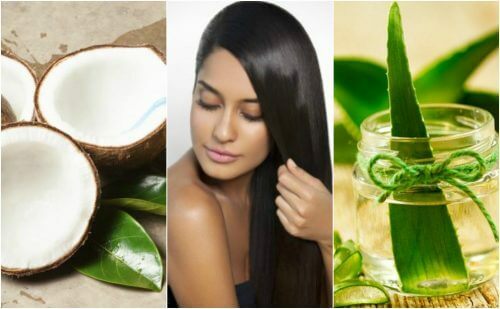 The combination of these two ingredients will make your hair healthier and smoother. Mix the conditioner, the olive oil, and the jasmine oil drops. Work it through your hair after washing it with shampoo and before applying conditioner. Leave on for 20 minutes and then rinse with plenty of water. In addition to detoxifying your body and aiding the digestive process, you can use apple cider vinegar to straighten your hair without a hair iron. This ingredient balances the natural pH levels of your hair, fights dandruff, and makes your hair grow healthy, strong, and silky. First, dilute the apple cider vinegar in the cup of water. Then, apply it all over your scalp after washing your hair with shampoo. After, let it air dry. 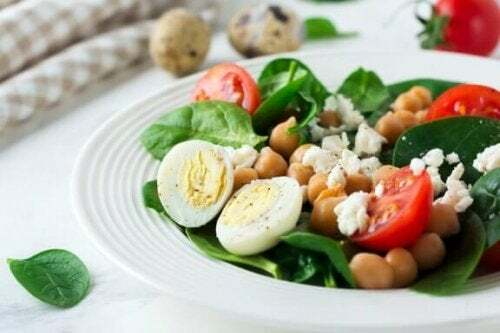 Thanks to its many properties, eggs are always present in hair masks because they make hair healthy, strong, and silky. 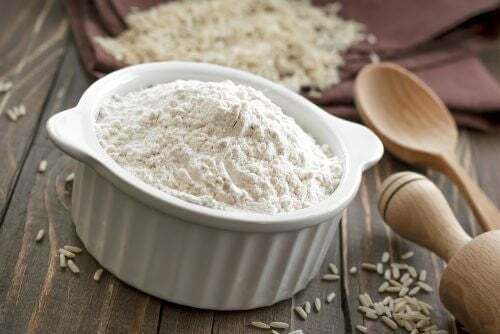 This ingredient, combined with rice flour, is very effective for smoothing hair, removing excess sebum, eliminating frizz, and preventing breakage. First, add the tablespoons of rice flour to the egg white and mix. Then, work the mixture through your hair. Afterwards, comb your hair and leave in for an hour. After this time, shampoo your hair and rinse well with cold water. Use cold or lukewarm water to wash your hair. Hot water causes frizz and breakage. In addition, make sure to use salt-free shampoo and conditioner to keep your hair from drying out. Keep your hair up. After washing your hair, de-tangle it and part it with a comb. Then, roll your hair around your head like a turban. Use hair pins or a cap to hold it in place and remove them when it dries. Your hair will look really straight! That’s it! You’re now ready to show off your straight, radiant, and healthy hair without the need for using hair irons. The best part of all is that you won’t damage your hair with these options.